This is where things could have been different. This is where Nikon could have taken a traditional point-and-shoot camera and made it something special with the Coolpix S800c. 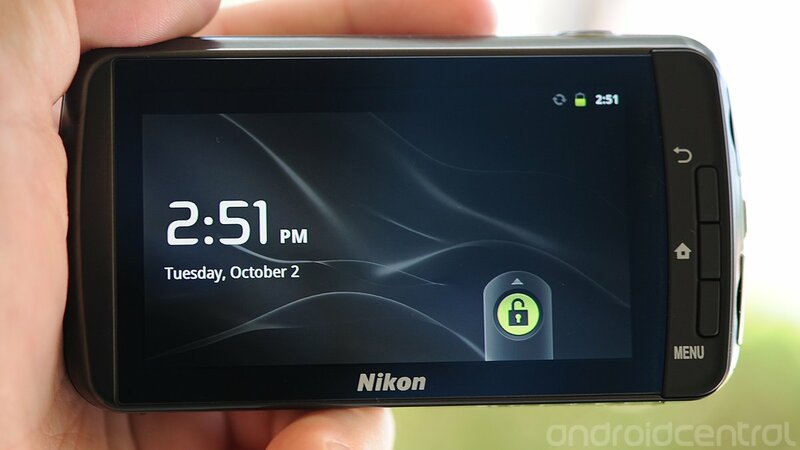 Instead, we have exactly what I feared -- a traditional point-and-shoot camera with Android slapped on top of it. The vast majority of folks out there will lament the fact that it's running Android 2.3.3 Gingerbread -- a version of Android that's closing in on two years old. But even that's not what bothers us. 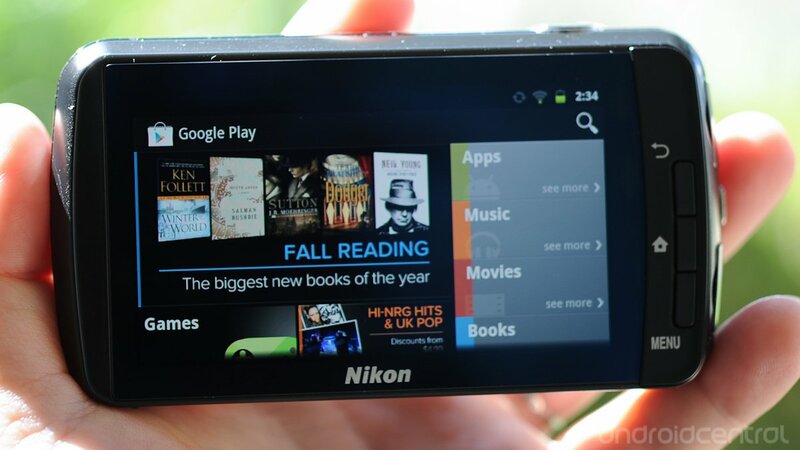 To appreciate what the S800c is missing, you need to look to, of all places, Amazon and Barnes and Noble. Those companies took "aging" versions of Android and actually made compelling tablet/e-readers at a time when manufacturers were still struggling with the concept of using a traditionally mobile user interface on a two-handed tablet device. And what they came up with were (and still are) devices that run Android without looking like Android tablets. The S800c? 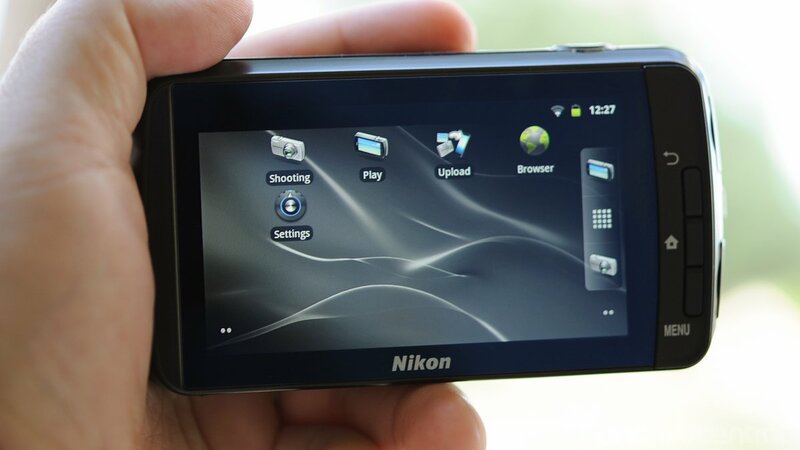 It's Android with a point-and-shoot wrapped around it, not a P&S that happens to be running Android and can also take advantage of all the apps and sharing and the Android ecosystem itself. For many of you reading this review, that's just fine. You can rock Android forwards and backwards, root and ROM and customize till the cows come home. And that's just fine. But for the broader audience -- normal consumers -- they need something better, something simpler. The S800c goes through the usual setup process. If you've ever opened a Gingerbread device out of the box and added Wifi, your Google account and any other sundry settings, you'll be right at home here. It takes about a minute on the S800c. Our only issue was that on a couple of trips through the setup process, the camera wouldn't detect our wireless network right away. But whatever the issue was disappeared after a few flips through the menu. Shooting: Opens the camera app and opens and extends the lens. And that's it for the main homescreen. There actually are five home screens available. Blanks bookend the lot, and the others have news, music and Google Play widgets installed. The dock (either at the bottom of the screen or on the right-hand side, depending on how you're holding it) has shortcuts to the "shooting" and "play" apps. Typical Android experience. Only, this isn't a typical Android device. The single most important feature on this camera is, well, the camera. And to use the camera, you'll have to hit the app icon that, design-wise, is no more important than any other app on the homescreen. 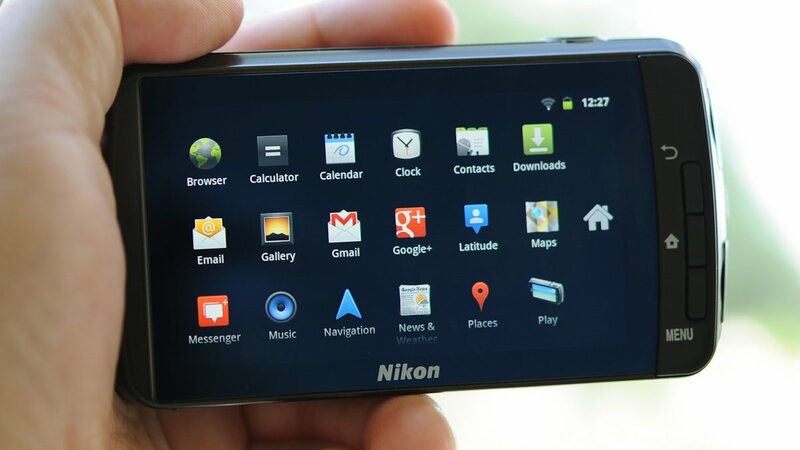 At the very least, Nikon could have cheated and made a couple of widget options for a larger camera shortcut. But, no. It's the usual Android experience, and that's no good here. We went over the hardware of the S800c in a previous post, but it ties into this problem as well. From standby, the only way to get to the camera app is to hit the power button, toggle the unlock screen -- which, by the way, has no shortcut to the camera app -- and then use the app icon. Pressing the shutter button won't launch the camera app. Neither will any of the other physical buttons on the camera. That's a show-stopper. The app drawer is a Gingerbread app drawer. Yawn. The one real fun spot of having an Android camera -- and the Coolpix S800c in particular -- is that it can run traditional Android applications. And the S800c has access to Google Play, which opens things up for all sorts of fun, as you saw when we loaded up Skype. The camera plays Angry Birds just fine, too. We did, however, run into a little trouble with one app that you'll be sure to want to install. That'd be Instagram, and the app doesn't recognize the S800c as a device it'll allow itself to be installed on, and so it doesn't even appear in Google Play on the S800c. (See the pic above.) That didn't stop us, of course. We sideloaded Instagram (yes, you can install non-market apps and turn on USB debugging just fine), and the app works as you'd expect, up to and including being able to take pictures from within the app using the camera's, erm, camera. Such Google Play hiccups are to be expected, but you'd think the manufacturer of an Android-based camera might get with the developers of the most prolific camera and photo-sharing app in recent history to make sure it'd be easily available. Just sayin'. Gmail and e-mail are on board. Google+ is there. Of course it's there. Again. This is a full Android build with Google apps. 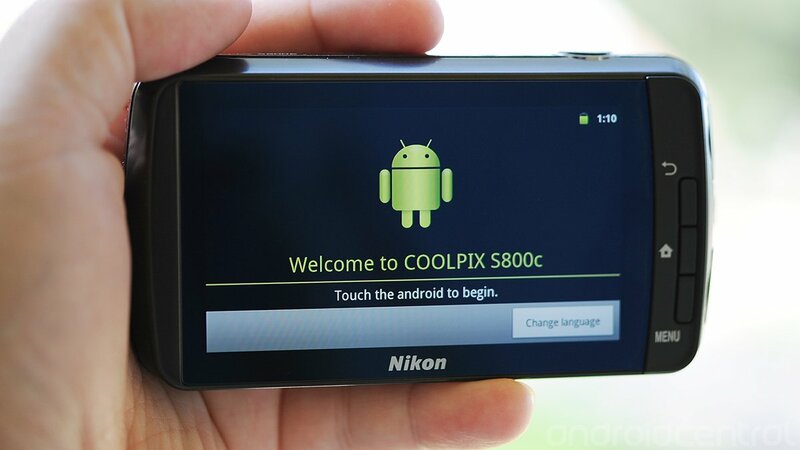 The Nikon Coolpix S800c could have been so much more. 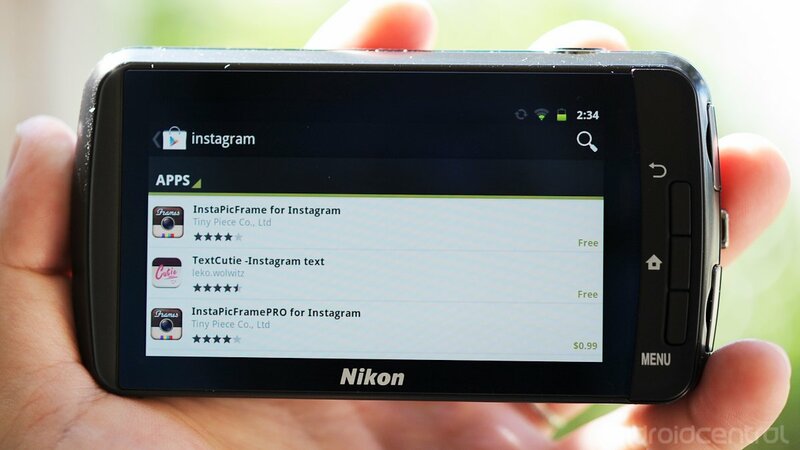 Nikon could have taken the Android framework and made a compelling user interface that complements the fundamental usage case for the device -- it's a damn camera, after all. Instead, we've got a traditional Android experience. And while we're all for seeing Android on anything and everything, it needs to be customized. Just as the Android phone UI didn't lend itself well to 7-inch tablets, neither does it really work for a camera. Oh, it's functional, but that doesn't make it good. For a mass-market consumer device, the UI needs to be simple, intuitive and, frankly, simply look better than what's on the S800c. Why did Nikon miss out here? Was it from a lack of programming experience with Android? Is this simply versoon 1.0? Was it a lack of willingness to spend the time and money required to develop a new user interface? 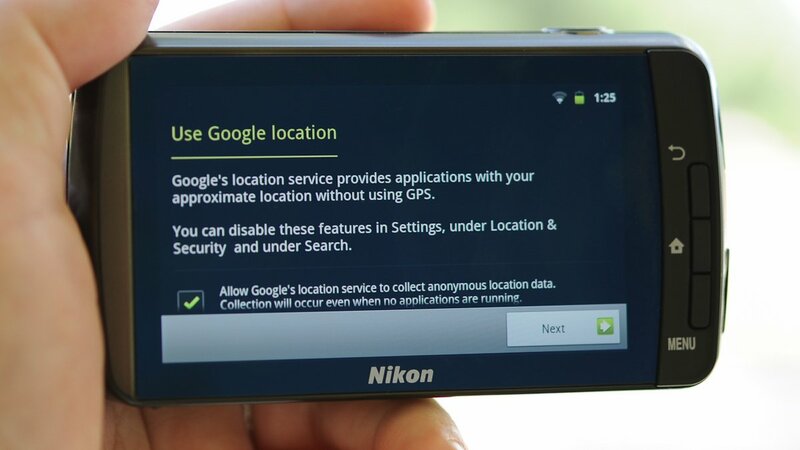 Or does it have something to do with keeping Google happy so that the camera could have Google Apps? Whatever the reason, it comes down to this: If you're comfortable with an aging, stock Android interface, you'll be comfortable on the S800c. If you're a more casual smartphone user and want a point-and-shoot with a simple user interface, you'll want to look elsewhere.